“Bear” was a happy boy! He was definitely one of those dogs that nothing could get him down. He was always enthusiastically barking at his kennel when staff arrived so he could go out for a walk. Sometimes, in his excitement, he’d take us for a walk! What a fun fellow he'd make in any home. 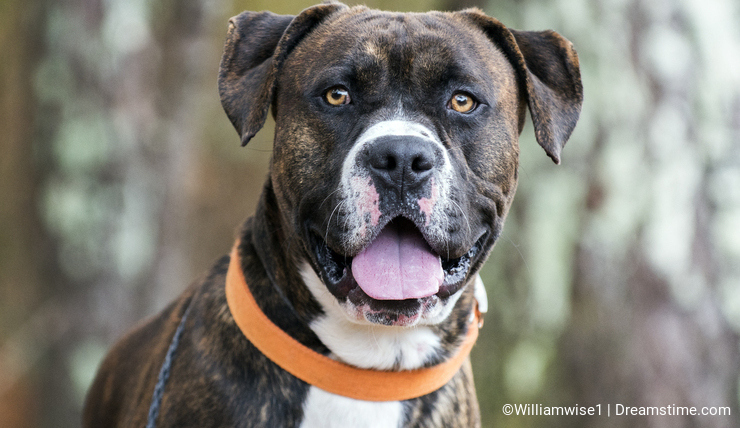 He was picked up stray by a Walton County Animal Control officer on November 30, 2018. He had on a bright orange collar, but no tag or chip to find his way home. He sat through the weekend and when no owner came forward, he got his “glamour photos” done on December 3, 2018. “Bear” was shot with that wonderful 70-200mm f/2.8 lens which really brought out his golden eyes. His red brindle coat and the brown pine needles behind him made for a great fall feel to his photograph. He was posted on the shelter's adoption website, www.waltonpets.net for a new home.